I’ve been working on cooking healthier meals and snacks in the past couple of weeks. Since Emmie was born, I fell into the bad habit of throwing together anything that was quick and easy. However, I knew it was time to get back on track when all the starches and processed foods started messing with me yet again. 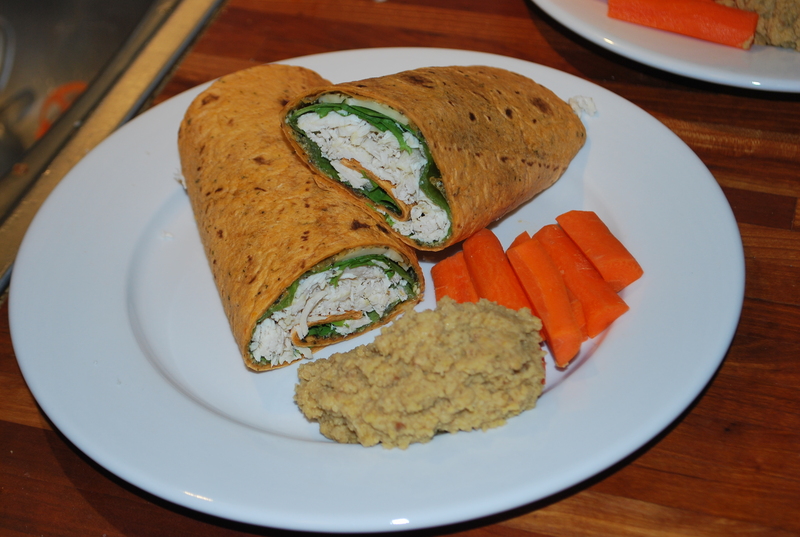 So, I scoured the internet and came up with two new recipes and some healthy lunch ideas. 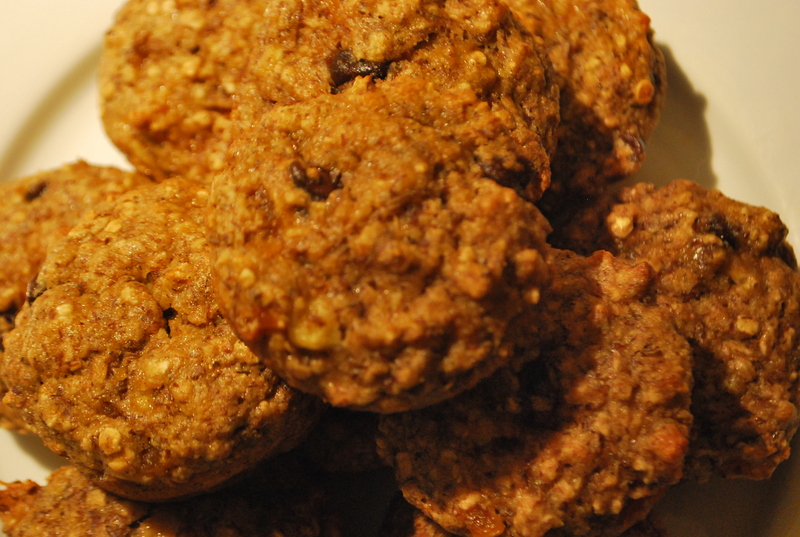 In a small bowl combine applesauce, milk, and wheat bran and allow to soak for about 5-10 minutes. Preheat oven to 350 degrees. Spray oil onto muffin tin. In a large bowl combine egg, mashed banana, vanilla, and brown sugar. Once it is mixed together, add the wheat bran mixture and combine. In a separate medium sized bowl, stir together your flour, baking soda, salt, baking powder, and cinnamon. Add dry ingredients to wet ingredients slowly and gently stir to combine. Gently mix in nuts, prunes, and chocolate chips. Spoon batter into muffin tin and place in the pre-heated oven for 17-19 minutes depending on your oven. Allow to cool on a rack before serving. These came out great!! I used flaxseed meal instead of wheat bran, dried apricots instead of prunes and omitted the walnuts since hubby isn’t a fan of nuts in his food. I doubled the recipe, froze the majority of the muffins and have been defrosting one for Bri every morning. Nick takes these to work when he doesn’t have time to eat in the morning. Preparation: In a food processor, process beans, garlic, olive oil, lemon juice and oregano until desired consistency. 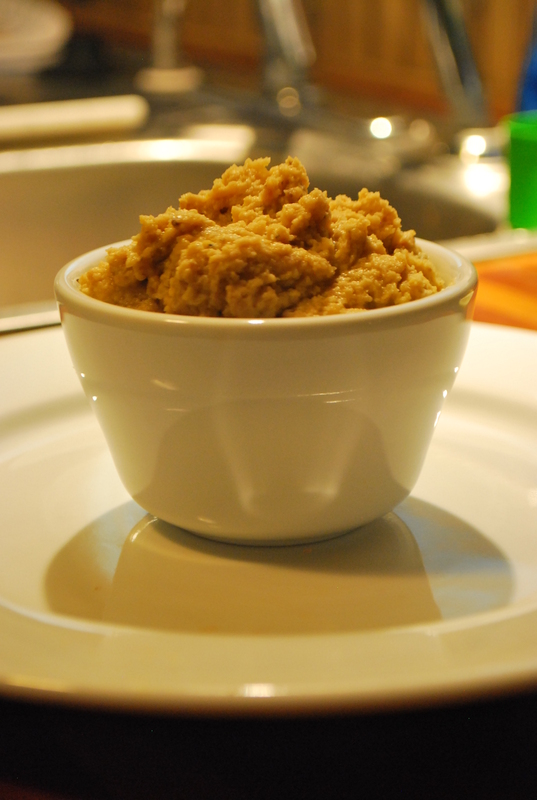 If hummus is too thick, simply add olive oil in small increments (1/2 teaspoon) until desired consistency. Serve roasted garlic hummus garnished with finely chopped parsley with hot pita bread, pita chips, or veggies. I added about a teaspoon of salt and it came out so yummy. 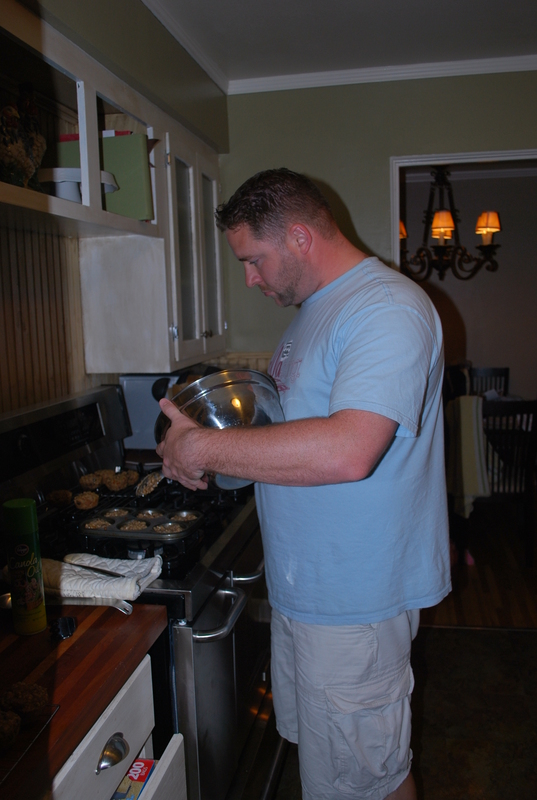 I decided to blog about the new recipes I was trying and ran to get the camera. Nick: Why are you taking pictures of the food? Me: You’re supposed to take pictures of your food if you blog about it. All the pros do. AND it has to look pretty. Nick: Oh… how does that look? Me: Well, that’s a nice touch but I was thinking more along these lines. What do you think? Nick: I like mine better. It has more personality. I have to agree with him. Anyway, this is what I made for dinner. I took a sundried tomato basil tortilla and covered it with a thin layer of basil pesto. Then I added pepperjack cheese, shredded chicken and lettuce. 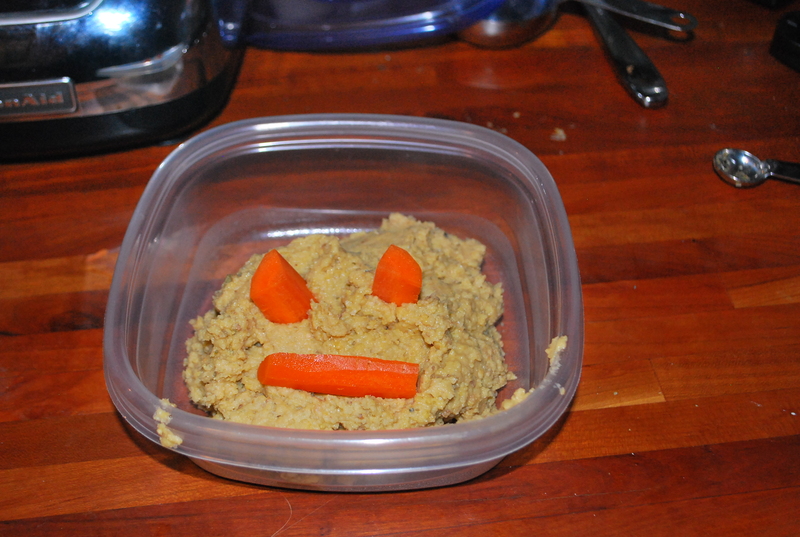 I paired that with a helping of hummus and carrot sticks and had a delicious, healthy meal!